Consumer Education Services, Inc. (CESI) is a non-profit service provider of comprehensive personal financial education and solutions for all life stages and for all of life’s milestones. Our goal is enhanced economic security for everyone we serve. To rescue men from addiction for life. North Carolina Cooperative Extension partners with commuities to deliver education and technology that enrich the lives, land and economy of North Carolinains. To be a place where anyone touched by cancer can find support and resources to live life to the fullest. 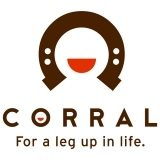 CORRAL is a faith-based nonprofit that pairs at risk girls with rescued horses to promote healing, growth and ultimately lasting life change. CIR builds relationships between internationals and others within the local community to empower and enrich the entire community. CIR helps individuals restore broken relationships with self, others, the material world, and with God. Creech Road Elementary School will provide a relevant and engaging education and will graduate students who are collaborative, creative, effective communicators, and critical thinkers. Curamericas Global partners with underserved communities to make measurable and sustainable improvements in their health and well-being. To provide necessary resources and support to North Carolina children suffering from rare disorders and their families. DECI's mission is to help people with vocational disabilities achieve a sense of self-worth by optimizing their potential to earn their own wages through work. Diamante Inc is dedicated to the preservation, development, and promotion of the culture, heritage, and artistic expressions of the diverse latino/hispanic population in North Carolina. The Diaper Bank of NC goal is to ensure that every child in North Carolina has enough diapers to remain clean, dry and healthy. The Alliance coordinates opportunities for volunteers to assist the community in recovering from disaster. Donate Life NC is a statewide non-profit dedicated to saving lives by inspiring all North Carolinians to give the gift of life through organ, eye and tissue donation. The mission of the Durham Public Schools Hub Farm is to engage students in all aspects of local food production and land stewardship to foster healthy living, career exploration, environmental stewardship and community engagement.